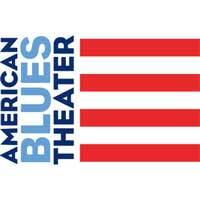 American Blues Theater (ABT), Chicago's second oldest Equity Ensemble, proudly announces its 25th Anniversary Season productions and events. Plays will include a return engagement of the critically acclaimed "It's a Wonderful Life: Live at the Biograph!" (Nov. 26 - Dec. 31) and the Regional premiere of "Rantoul & Die" (April 15 - May 29) by Mark Roberts, writer/Executive-producer of "Two and a Half Men." In between ABT will present a benefit evening of "American Blues - Collected One-Acts" by Tennessee Williams (March 2011) directed by Dennis Zacek, Steve Scott, former Artistic Directors of the ABT Ensemble Brian Russell and Damon Kiely, and ABT Literary Manager Heather Meyers. In addition, ABT launches their annual playwriting contest "Blue Ink." Performance schedules and ticket information for these productions will be announced at a later date. ABT is an Ensemble of inherently collaborative theater artists. They re-envision great American classics and reach out to the Chicago theater community to create new work that reflects mid-western roots and celebrates the diverse American character. They dedicate each production to working people and partner with social and service community organizations. Both plays and the March benefit reading will take place in the Victory Gardens' Richard Christiansen Theater, 2433 N. Lincoln Avenue, Chicago. "We are honored to present our season in the newly dedicated Richard Christiansen Theater at Victory Gardens since it connects us with two individuals who have played key roles in the life of ABT," says Producing Artistic Director Gwendolyn Whiteside. "Mr. Christiansen's inclusion of ABT in his article â€˜Chicago Theater Forges New Standards of Glory' had a major influence on ABT's growth. Our Ensemble's first production in 1985 starred Dennis Zacek and was staged at Victory Gardens." ABT begins celebrating its Ensemble's 25th Anniversary Season with a free, open to the public, 25th Anniversary Celebration on July 12 from 4 p.m. to 9 p.m. in the Old Town Amphitheater, located next to Church of Three Crosses, 333 W. Wisconsin St. "Our Ensemble's 25th Anniversary would not exist without the support and generosity of the Chicago community. We humbly thank every person who gave of his or her time and resources over the past decade to support this amazing group," said Founding Board Member Joan Esposito. In 1985, ABT's first production was the world premiere of "Dogman" by Founding Ensemble member and Emmy-winning writer Rick Cleveland. This season, ABT launches "Blue Ink," an annual playwriting contest. "ABT encouraged and nurtured me as a young writer, and I'm extremely proud that we're continuing the tradition with Blue Ink," says Rick Cleveland. The award, judged by the ABT Ensemble and Cleveland himself, comes with a $500 prize. Applications are being accepted now. Deadline for applications is Dec. 1. Submissions and inquiries should be sent to blueink@americanbluestheater.com. The winner will be announced at the March 2011 benefit "American Blues - Collected One- Acts" by Tennessee Williams.